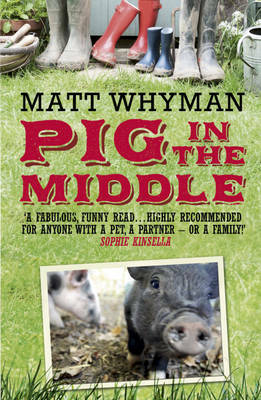 It's paperback time in the UK for my memoir about family life with badly-researched pet pigs. Given that Butch and Roxi are now pretty much maxed-out minipigs, the book has a fresh new look and name. Pig in the Middle is published on October 13th by Hodder & Stoughton. Also available as an e-book. Hey - thank you! Glad you enjoyed it.